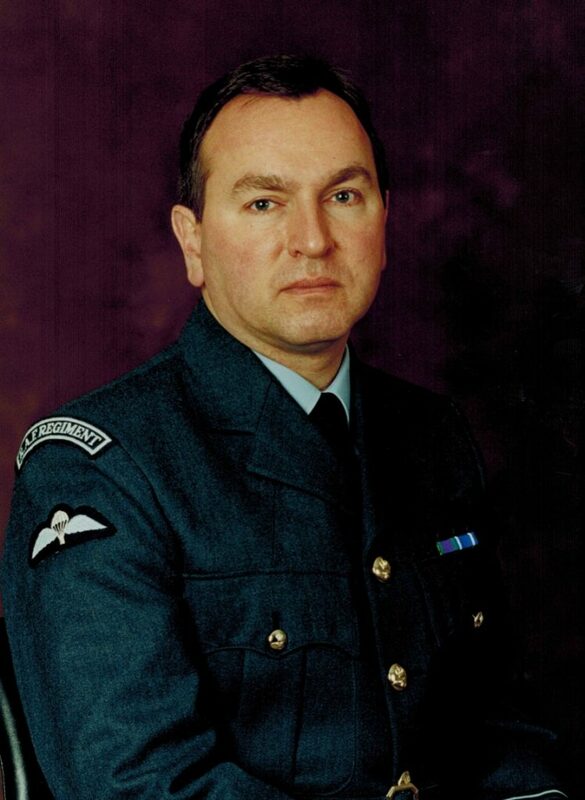 John Kirk enjoyed a successful career in the Royal Air Force serving for 23 years – initially for five years as an Air Traffic Control Officer with the balance as an officer in the RAF Regiment. A Home Instead franchisee for four years, he retired from the forces at the rank of Wing Commander. 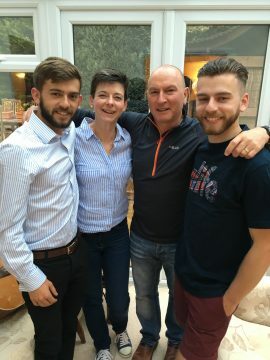 John, a father-of-two, believes his forces background put him in solid stead for a new future steering a successful business opportunity in franchising as well as learning valuable ‘life lessons’ along the way. Today, John’s franchise provides care and companionship to 122 clients and as a local employer of choice he is proud to employ 73 CAREGivers. I was privileged to have a full and successful career in the Royal Air Force, serving for 23 years – initially for five as an Air Traffic Control Officer with the balance as an officer in the RAF Regiment. 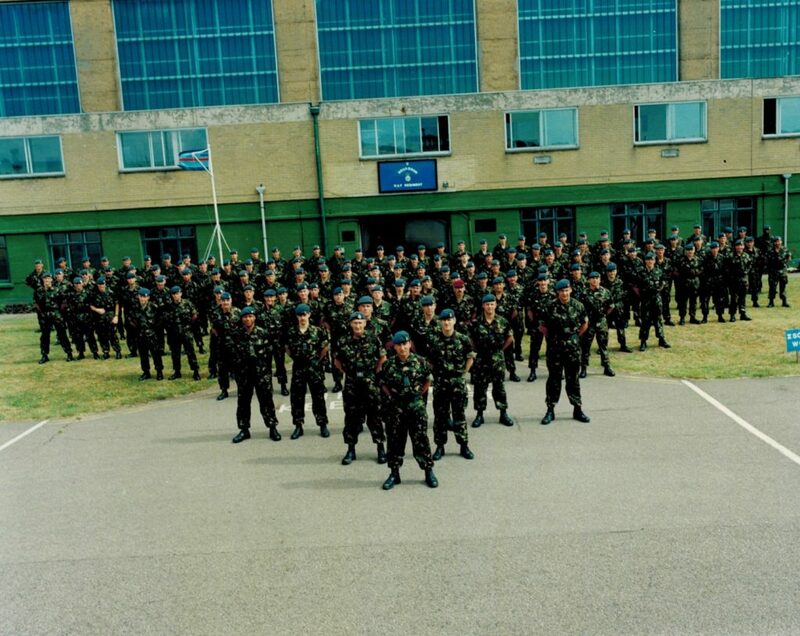 I was fortunate to deploy to most of the active theatres of operation that characterised the period of my service including the Falkland Islands, Central America, Europe, the Balkans, Northern Ireland and the Middle East. I retired from the Royal Air Force in 2002 having risen to the rank of Wing Commander. I’m married and have two sons aged 24 years and 21 years. My family ‘followed the flag’ for almost all of my service career. What did your civilian career first look like? When I first entered the civilian job market, I worked as a Branch Manager for Waitrose following a period as a management trainee. After three years, I resigned and moved to a company providing residential nursing and dementia care. I first heard about franchising many years ago. A colleague in the RAF Regiment left the service and became an extremely successful franchisee. He told me successful franchisees followed the systems and processes set out by the franchisor – that’s exactly what he did. Having worked in a corporate (and for the MOD), I wanted to have more control over the day-to-day operational and strategic investment decisions that affected me. Owning my own franchise seemed to be the ideal solution. What due diligence did you undertake as a prospective care franchisee? I already had some experience of working in senior care and wanted to set up a business close to my home. I researched all the major franchises in the domiciliary care sector and Home Instead Senior Care was the one whose values and ethos resonated most closely with my own. I was really impressed with the franchisee recruitment process which allowed both parties sufficient time for dialogue and research before making a commitment. I opened by Home Instead Senior Care territory in Swindon and Vale of White Horse four years ago. How did you fund your franchise? As most people who work for the Government for a long time will know, you don’t get rich in the Armed Forces. Home Instead helped introduce me to funding banks and I was able to get a bank loan to fund the majority of my franchise fee and working capital. The rest was provided from savings. Why do you think franchising suits former Armed Forces personnel? In the Armed Forces you learn to follow successful processes but in every serviceman or woman there is also the ability to show that spark of initiative – an entrepreneurial spirit if you like. Nothing frustrates a serviceman or woman more than being accused of only being able to follow orders! The complexity and ambiguity of modern warfare means that yes, there is a plan to be followed, but every man or woman down to the lowest level needs to be able to take decisions independently to exploit unexpected success or to react when things go wrong. This ability to follow a process and show initiative along with strong leadership and people management skills make ex-Armed Forces people ideal franchisees. What is a typical day like for you as a franchisee? There really is no ‘typical day’. I could be out networking for new business or attending one of the many groups where I seek to have influence. In the office, I take the lead on sales and marketing as well as ensuring that we are compliant from a regulatory perspective. We are a people-driven business and so recruiting, leading and encouraging the team – be they in the office or delivering care in the field is an important feature of every day. I love the variety that our service brings to my working life. What challenges have you had to overcome as a franchisee? I’ve experienced the normal ups and downs of running a business. In contrast with working for someone else, it always feels very ‘personal’ and you get more emotional about the highs and lows. The support from my franchisor and the National Office team has been excellent and I always feel able to seek their wise counsel when I need to. Has becoming a franchisee changed your life, if so, how? Absolutely! I have a freedom – both in decision-making and lifestyle that would never have been achieved had I remained working for a corporate. Someone who’s ready to put in the ‘hard yards’ and follow the proven franchise systems. Over the time I’ve been a franchisee, it’s those who try to ‘reinvent the wheel’ that fail to realise the expected returns. Would you recommend franchising to other ex-servicemen or women? Franchising provides sufficient structure along with proven systems and processes for an ex-serviceman or woman to feel in familiar territory. There are lots of corporates who fail to recognise the transferable skills of those leaving the Armed Forces. Franchising allows service leavers to move straight into the commercial sector without having to endure the sometimes misguided recruitment processes of the less enlightened companies.